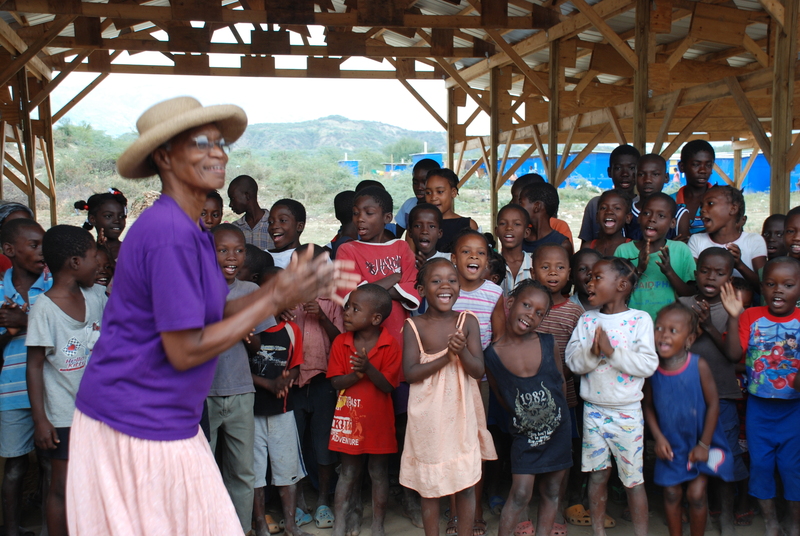 Sister Phyllis Newby has ministered in Haiti since 1972. Rejoice! A Savior is Born! She felt the call of God in her heart when she was a young lady and has been faithful to that call ever since. Few have truly labored in the “field of souls” as Sister Phyllis has. In the course of over 40 years, she has been instrumental in changing the spiritual landscape of Haiti. Her life of intercession coupled with her physical labors, have changed the lives of thousands of Haitians. Sister Phyllis resides at The Mission Center in Saintard, Haiti. Located on the grounds of the Mission Center are the Children’s Home, which houses approximately 55 children, and the hospital that was erected as a hub of medical treatment after the 2010 earthquake. Haitians from all over the country access the hospital services almost every day. Phyllis doing one of the things she does best! And the children love it! for the countless ministry needs in Haiti.